GREENSBORO, North Carolina -- Instead of getting her value meal and extra chicken nuggets, a Greensboro woman says she got a knot on the back of the head and a sprained neck, according to the Greensboro News & Record. WGHP reports that Carla Dunlap claims she was assaulted on June 28 at the Wendy's at 913 Summit Avenue after an argument with another customer. 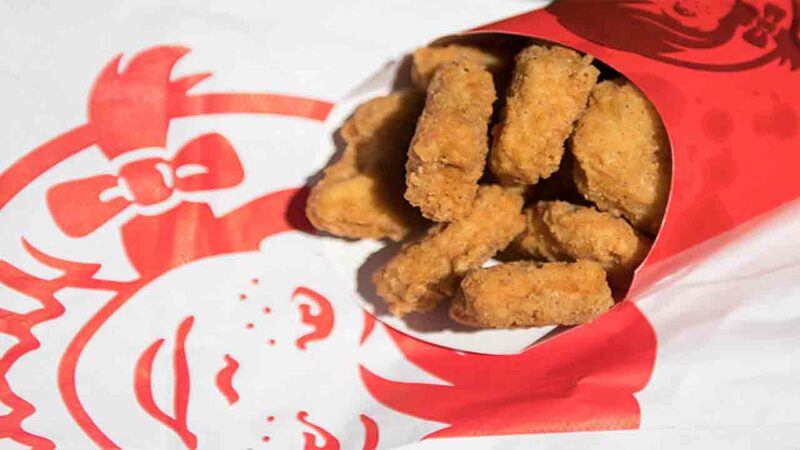 Dunlap said she saw a female employee place a paper bag, filled with cooked chicken nuggets, on top of a garbage bin. She told someone, who she was speaking with on her cell phone, that she was going to take a picture and send it to corporate. "The girl in front of me heard me and she started arguing with me," said Dunlap, claiming that the female employee and the woman she argued with knew each other. "We started going on and on and things got heated." Dunlap claims she and the woman continued to argue when a second male employee came from behind the counter, punched her in the back of the head, and put her in a choke hold. With her grandson yelling in fear, another store employee pulled the man off of her, and Dunlap and the 7-year-old boy got away. Greensboro police spoke with Dunlap but did not make an arrest. The man accused in the attack was fired, said Karis Kizine, employee relations director with NPC International, the company that runs the franchise. Kizine would not identify the man or say when he was fired. Dunlap said she is considering suing.